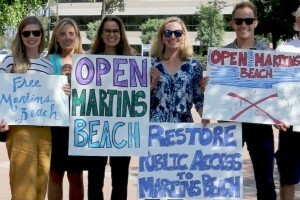 Help Open Martin's Beach for everyone to enjoy! 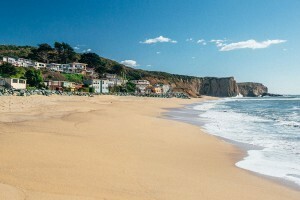 Martin's Beach is a picturesque pocket beach just south of Half Moon Bay. It had long been visited by the public until soon after it was sold in 2008 to a then-anonymous owner for $32.5 million. Not long after the property changed hands, the billboard was painted over and a keycard gate was closed permanently to the public. Currently, the San Mateo County Chapter and its allies are working together to Open Martin's Beach once again to the public and to the families who have enjoyed it for generations. 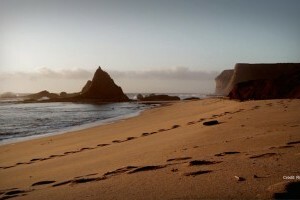 Stand with Surfrider to urge the California legislature to establish a fund to acquire a public access easement to Martin's Beach. Send a letter and show your support! 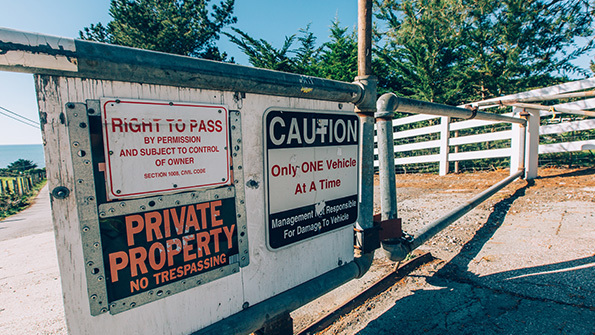 Sign up to receive Surfrider emails to keep up-to-date on our campaign to open the gates at Martin's Beach and all of our campaigns around the U.S.
Martin's Beach has had a long and storied history beginning in the early 1900's and stretching to today. 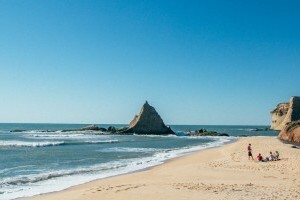 The current access that has been closed since 2010 has put an end to this beautiful and well-visited beach south of San Francisco. Tell the State Lands Commission you're counting on them to protect access to public lands and support the Commission's efforts to acquire an easement to Martin's Beach. At this time, please direct email to staff Colin Connor. 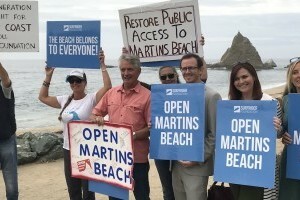 Support Surfrider’s legal battle to Open Martin's Beach. Become a member today and send the message to unlock the gate at Martin's! Exercise your right to access public beaches in California, including Martin's Beach; be a good steward of the beach while you're there; and be respectful of neighbors. At this time, visitors can access Martin's Beach without fear of arrest by walking down Martin's Beach road. Share stories and pictures of your visits to Martin's Beach on the Friends of Martin's Beach Facebook group. 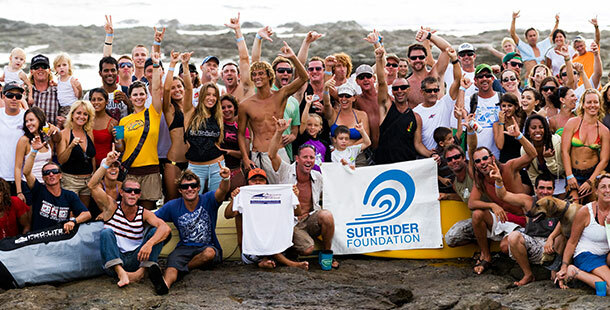 Get involved with your community, and where possible, through a local Surfrider chapter. For a complete list of press coverage, visit this page. Learn more about beach access and why its important to keep our beaches open for all to enjoy. Visit beachapedia.com for more info. Find out what else Surfrider is doing to protect beach access throughout the U.S. through our Beach Access Initiative.